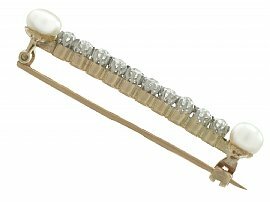 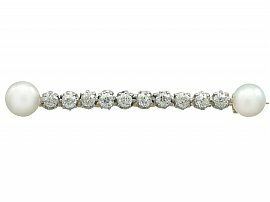 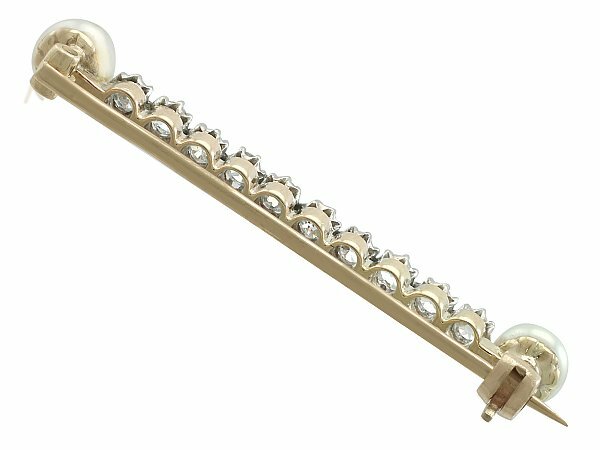 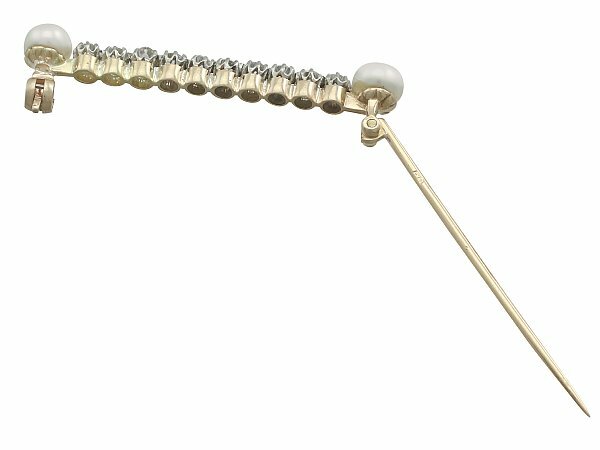 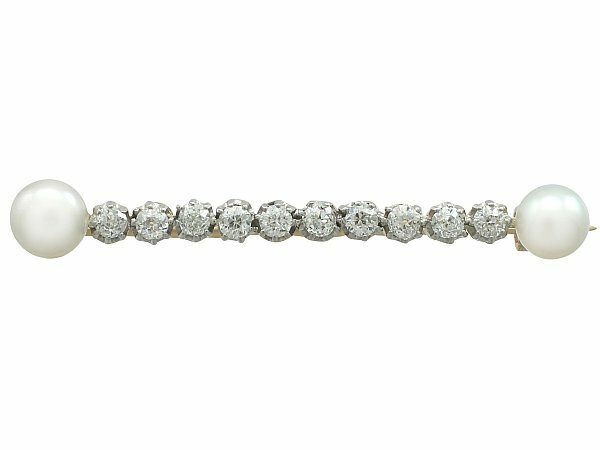 This fine and impressive diamond bar brooch with pearls has been crafted in 15 ct yellow gold with a platinum setting. 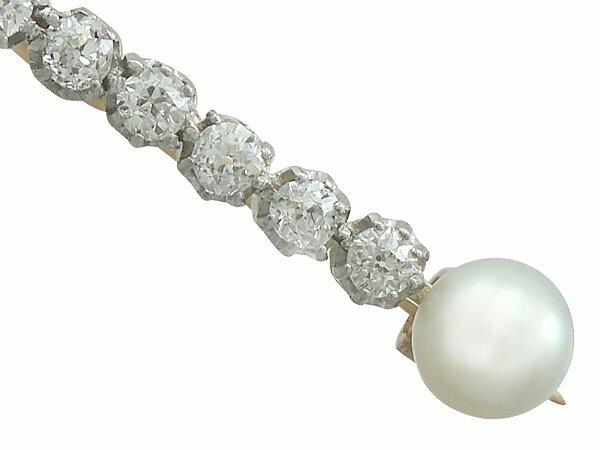 The bar is embellished with ten individually platinum claw set Old European round cut diamonds. 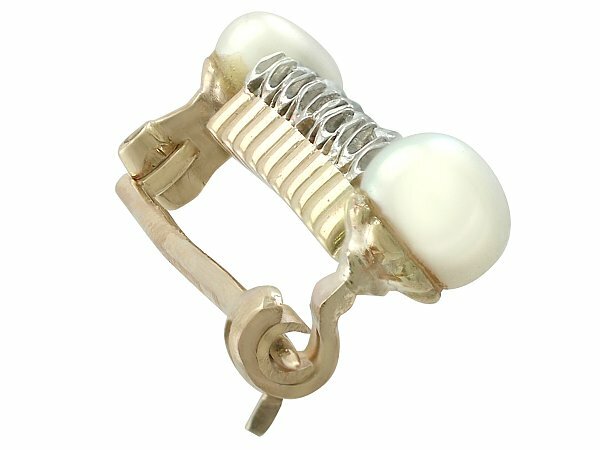 The brooch has a 6mm pearl terminal to either end of the design. 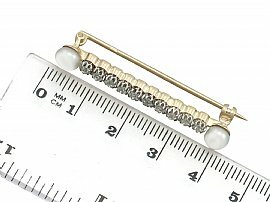 The brooch secures with a hinged pin and safety clasp to the reverse of the 15 ct yellow gold frame. 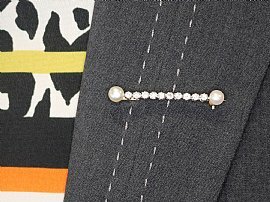 The pin is hallmarked with the maker's mark. This impressive antique bar brooch has been independently tested using state of the art technology (Niton XL2 Analyzer) and verified as 15 ct gold and platinum. This antique brooch is fine quality set with very well colour matched, very high colour graded old cut diamonds.